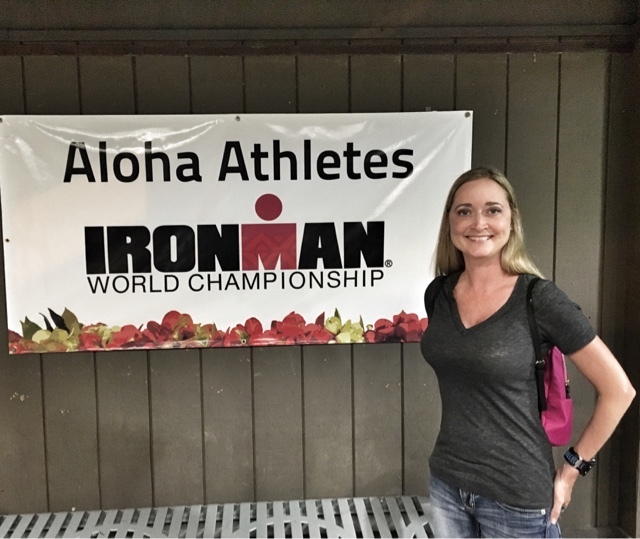 You can't imagine the excitement in the air for Ironman even just stepping off the plane in Kona. Athletes, family members, people working Ironman, and spectators are all welcomed. The sport and tradition were very honored here on the Big Island! 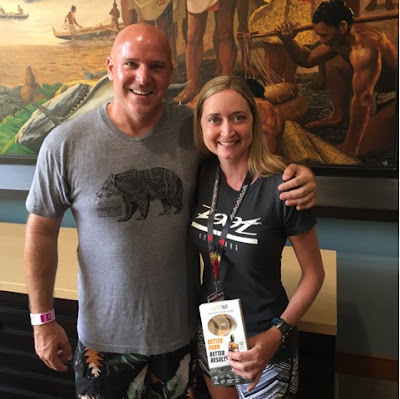 I was super excited to meet Mark Mastalir who consults with Lumo Run. What a great guy! I look forward to working with him in the future! 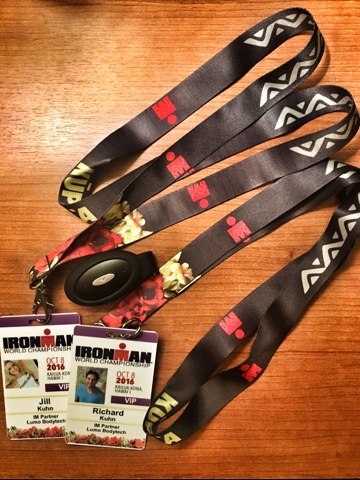 My husband and I were given VIP access at the Ironman events. It was such a great time!! 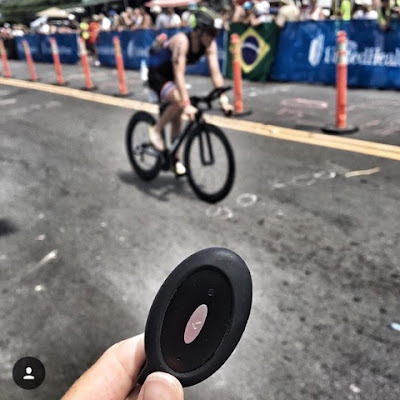 My favorite was the VIP seating at the finish line. You can't beat that!! I had a couple Lumo Runs to giveaway. Ashley Davis found me on her run to claim hers! 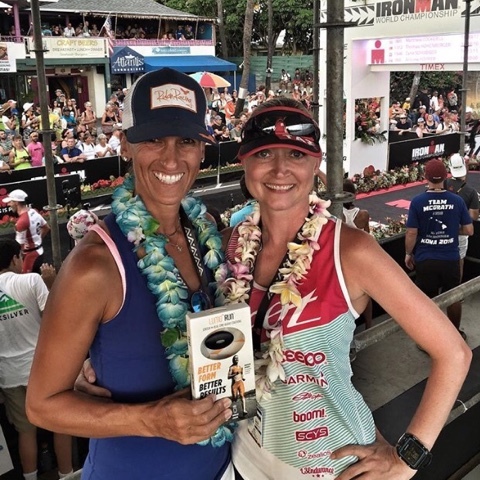 And the second Lumo Run went to Jen Rulon of Rulon Racing! Can't wait for them to try out their new virtual coaches! It is amazing what this little device can do! I never go on a run without it! 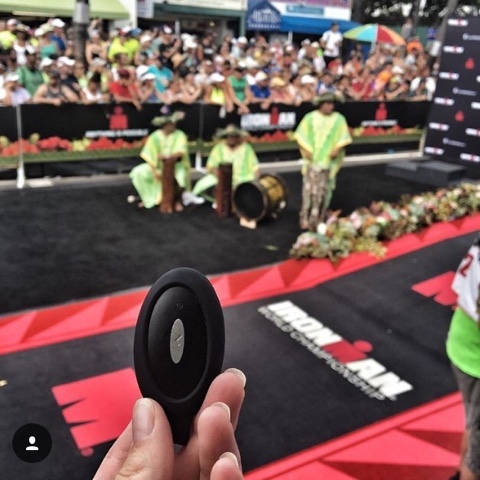 It's truly a great device for runners of all levels! It helps you focus on important areas such as cadence, bounce, breaking, drop, and rotation. It's like having a coach in your back pocket! Lumo Run always finishes strong and now you can too!! 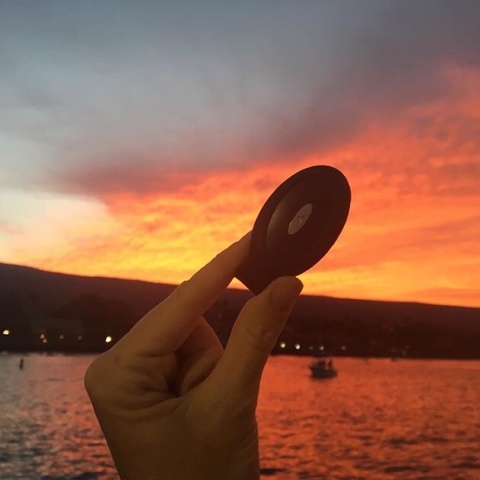 Such a neat device and such a great way to spread awareness about it! 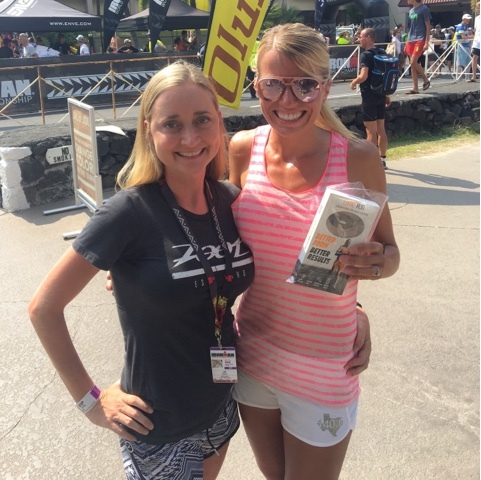 How cool that you got to give a few away and see and meet so many amazing triathletes!